The Ultimate Prepping Course: The Prepping Intensive! Click here for your sneak peak! How secure do you feel about the future, really? Increased urban violence, coordinated attacks on America's law enforcement officers, unprecedented numbers of Americans on government assistance, and a tumultuous Presidential election on the horizon — of course the future seems more uncertain than ever. A freak confluence of storms caused a “Superstorm” that took out power to much of the Eastern Seaboard, including New York City and the coastal parts of New Jersey. Nearly a year later, over 90 homes were still without electricity. Two winters in a row, a “polar vortex” caused horrifyingly low temperatures and paired with winter storms to make the mid-western US resemble the Arctic Circle. Man-made calamities abound in the form of massive immigration from third world countries around the world and terrorist attacks. A deadly virus that everyone thought would be relegated to the distant regions of Africa was diagnosed here in the US, not just once, but multiple times, and now, other viruses are making a comeback on American soil. Can you read those facts and honestly say that you aren't concerned about the well-being of your family? Those who say, “It can't happen to me” are so dead set on staying in their comfort zone that they are deluding themselves. Click here if you are ready to get prepped RIGHT NOW. It's time to face reality and take charge! If you're reading this, you're ready to face reality. You are ready to take action and prepare yourself, your loved ones, and your home. That's why you're here, and we can help. You know that the government won't be there with a soft cushion to save you. You know that in times of disaster, you and your family are completely on your own. And you intend to be ready. You aren’t powerless when you’re aware. The primary edge you have over just about everybody else is that you're aware. Not everybody is, and that gives you the survival advantage, but it's time to stop procrastinating. The current state of our society, nation, and world are not going to get better. What can a Prepping Intensive Do For You? Bottom line: one of our multi-week Prepping Intensive courses will turbo-charge your survival plans and could change your life. In this new virtual school for preppers, you'll meet like-minded people and pick the brains of some of the most influential preparedness experts in the industry. 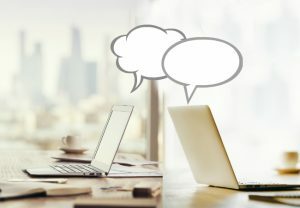 Instead of just reading blog posts or preparedness books and having unanswered questions, you can actually talk with the authors of those articles and books and have their personal attention. 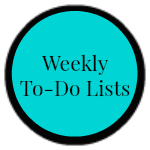 Best of all, we’ll help you to create a customized guideline, complete with weekly, manageable action plans so that you can stop “thinking” about prepping and actually get it done! Think you're too busy for Prepping Intensive? Everything we offer is available 24/7 in the comfort of your own home. 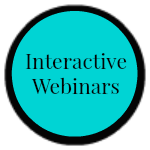 Our live webinars are an excellent, and fun!, way to network and ask questions of our experts, but each one is recorded and available to you at any time, for an entire year! I had thought about prepping for some time, but I did not know where to start. This class has changed my life. Not only do I know what to do but I have resources to help me prep in the right ways. Being able to interact with well known experts in many different fields of prepping has been very insightful. This has been my best investment of time and money in recent memory. With access to the experts and unparalleled resources, the price is far less than you might expect. The entire 8-week session is budget-friendly, and we even have a 3-month payment plan! This fee includes access to the experts, all printables, webinars, bonus materials, weekly check-ins, and more. 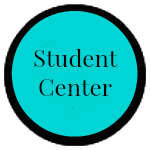 All registered students immediately receive a one-year membership to our exclusive Student Center. Enjoy a massive library of free downloads, a members-only forum, library of webinar recordings, and much more! When we say our Prepping Intensives are unique, we mean it! During a Prepping Intensive with Preppers University, you will have access to experts, something your prepper friends will envy! I learned so much from the articles, group posts and webinars that you just won't find solely on a blog or Pinterest post. It was a time saver in that all the information was handed right to me in an organized fashion, and more importantly, I knew that it was credible. Get to ask questions, anytime! Weekly, live check-ins allow you to share your progress with a small group, ask questions, and give advice to other preppers. Join in private conversations with Lisa and Daisy in our Student Center forum. Get more personal attention and motivation than you ever dreamed of during this course. Gain unlimited access to a treasure trove of articles, printables, and checklists that have all been organized to correlate with the weekly focus. 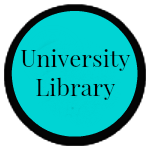 Visit our Univerity Library for even more downloadable content! 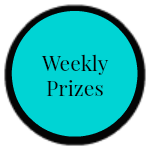 Each week, you'll automatically be entered into the drawing to win some absolutely incredible preparedness prizes. Prizes like a NuManna's Triple Family Pack of Emergency Food, an AquaPail filtration system, books written by our guests, and more! 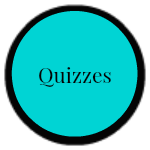 Along the way, we'll provide questionnaires to help you assess your readiness in the topic of the week. You can share those with us or keep them private. It's totally up to you! Each week will start off with a to-do list with up to 20 small steps to help you get more prepared. Don't worry – we understand tight budgets. We focus on the freebies as much as we do on purchasing supplies! 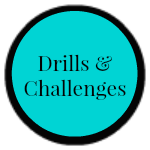 Each week, we'll offer challenges so that you can test your preps and your skills, and Week 8 is Drill Week! Find out if you're as ready as you think you are! There is absolutely nothing like the impetus of joining a team to help you get things done! The entire 8-week session costs less than $20 per week, with a full year of access to all course materials! If you've been prepping for very long, it's likely you have spent far more than our registration fee on prepping and survival books by one author or another. The problem is, those books are only as good as the actual actions you take, and all too often, the books assume a “one size fits all” approach to survival. If your survival book collection had all the answers you've been looking for and you were completely prepped for anything, you wouldn't be reading this page! I am so grateful I became part of this group. I really look forward to your posts and I'm learning so much from everyone. It's so nice to have other preppers to share with, especially since I have so many questions. As a Prepping Intensive student, you get at least two instructional webinars each week with an array of experts most preppers dream of chatting with. The Survival Mom, Lisa Bedford, and Daisy Luther, The Organic Prepper, teach additional training webinars and hold live Q&A sessions each week and are available to you via email and a secret Facebook group. Learn how to get started prepping without spending a penny. Make a realistic plan based on your own budget, location, and skills. Get prepared for a 2-week power outage and then build on that for longer disasters. Assess your threats: what are the most likely scenarios that you will face? Build your food and water supply with expert guidance, regardless of your budget. Learn how (and when) to bug out or evacuate. Learn how to get back home if you happen to be away when disaster strikes. Create your own survival group of family, friends, and loved ones. Make your home a retreat, regardless of whether you live in an apartment in the city or on a few acres in the country. Test your preps with a quick drill so you can see where they might fall short in an actual emergency. Address health and fitness concerns that could get in the way of survival. Weekly online check-ins with Lisa and Daisy. Discuss the worst-case scenarios of longer-term disasters. Learn what to do next to build upon your new foundation of preparedness. Each week, you’ll gain access to written information, podcasts, videos, forums, discussion groups, downloads, and webinars where you can ask questions. What truly makes Prepping Intensives unique is that you won’t just be reading about it or listening to people talking about it. After all, Red Cross shelters are filled with people who knew they should have prepared, but then didn't take action. You’ll be learning HANDS ON, interacting with others on the same path, and having experts on hand each week to answer your questions! You will be engaging in this process with a group of like-minded preppers who all have the same goal: getting their families ready for survival. Things in the world aren't getting more stable. Get ready now. Who will benefit from a Prepping Intensive? While SPI is great for beginners, we like to think that there's something for everyone! Brand new preppers: You never thought about prepping until just recently. Intermediate preppers: You were once off to a good start but became distracted. Experienced preppers: You are looking to network with other like-minded people, get organized, and learn a few new tricks. A life changing course. Variety of topics & speakers. Well rounded in helping you prep. A community of like minded folks that help and encourage each other. This course is an investment in your future. Recommend!! We hate to sound pushy, but we only have room for a certain number of sign-ups due to the interactive design of this course and the space limits of our webinar room. We wish that we could offer this to everyone, but in order for us to give you our personal attention, the spaces have to be limited. When our groups are full, we’ll have to close the registration. If a Prepping Intensive is exactly what you've been needing, don’t hesitate – sign up today! We're sure that you'll love the program, but if for some reason you don't, you have a full 10 days to check things out. If you aren't completely satisfied, just ask and we will gladly give you a full refund on your purchase price.